Interactive case docket regularly updated with: words, pictures, documents, videos, and maybe a light sprinkling of jokes. September 18, 2017, a class action lawsuit against Herbalife and forty-four of its top distributors was filed in federal court. The complaint alleges that the parties conspire to produce and sell a mandatory event series to which Herbalife business opportunity participants lose millions of dollars per year. Eight plaintiff’s have bravely agreed to represent a class of tens (potentially hundreds) of thousands of victims. 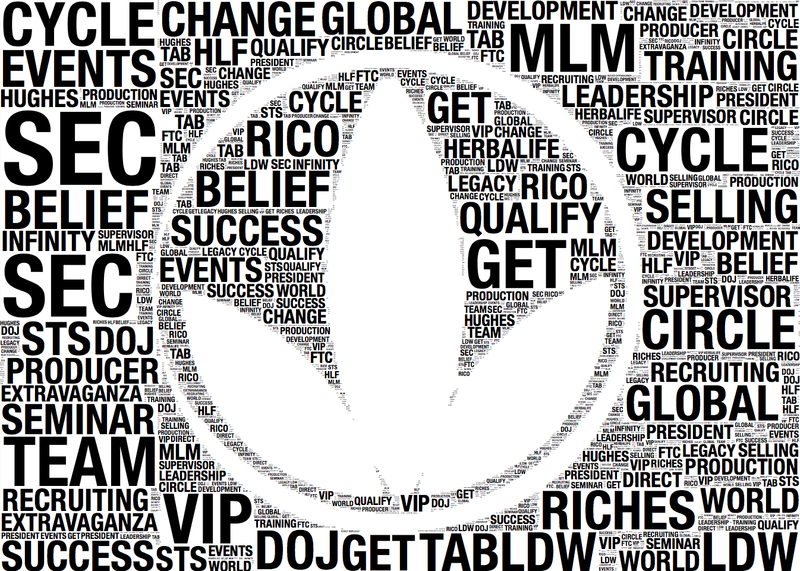 Plaintiffs–who hail from Florida, New Jersey, Oklahoma, and Ohio–were all Herbalife business opportunity participants who spent between twelve and forty-eight months doggedly pursuing the success guaranteed at Herbalife “Circle of Success” events. 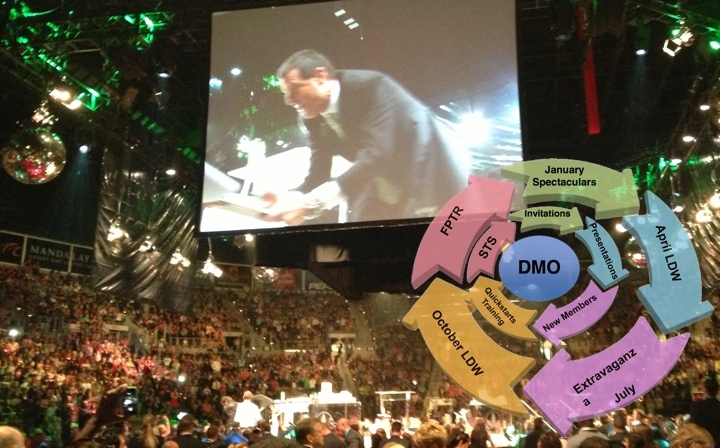 Truth in Advertising’s summary of the complaint included a video compilation of Herbalife distributors touting these events in fantastical terms. After a complaint is filed the court issues a summons. A copy of the summons, along with the complaint, is personally served on each defendant by a process server. Documents 6 – 29 on the case docket are notices that service was effected. At the time of service recipient refused to provide his name. Server first spoke with defendant daughter and she stated her mother was out of town and refused to accept service and left. There was a gardener on the property and he advise defendant spouse was inside the house. Server knock on the door and a white male came outside with attitude and refused to accept service. On October 10, 2017, we received notice that Quarles & Brady would be representing all of the individual defendants as a unified block. Q&B said they were authorized to accept service for all defendants and continued attempts at personal service ceased. A month later Q&B changed their mind and decided they had not been authorized to accept service for defendant Arquimedes Valencia. This was (sort of) detailed in the first footnote to the mandatory Joint Scheduling Report. Eventually Q&B decided they were authorized to represent Valencia, but the hiccup was #interesting. Herbalife’s complex and ever-changing contract with its distributors has sometimes contained a mandatory arbitration provision which aims to strip Herbalife’s victims of their right to seek redress in court. Herbalife and its President’s Team distributors seek to enforce the arbitration provision contained in some of these contracts against all Plaintiffs, including those who did not sign the arbitration provision as well as those who did not sign any contract with Herbalife. On August 22, 2018 the court denied Herbalife’s motion to compel arbitration as to all Plaintiffs who did not sign an agreement to arbitrate, but granted the motion as to those who did. 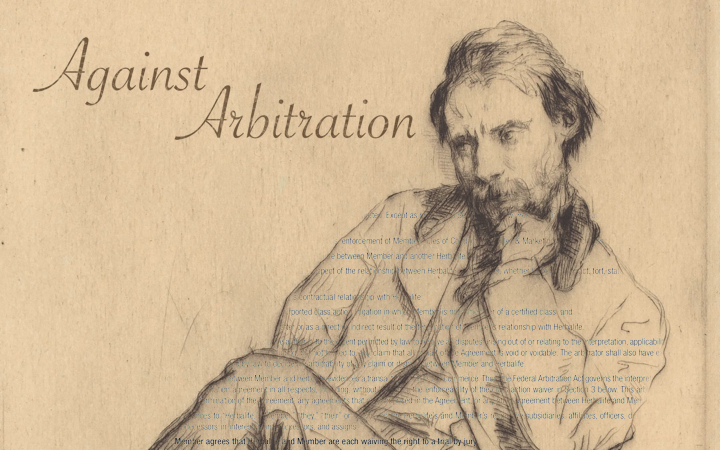 The Individual Defendants motion to compel arbitration was denied. Herbalife seeks to transfer the case to California. That sounds lovely. If you wouldn’t rather be in Los Angeles than in Miami–then you are wrong. There’s something not right about how ugly hot and oatmeal sticky it is in Miami. Also, two words: reptile predators. Those are insurmountably great arguments for moving the case to California. But they are not legal arguments. The legal arguments aren’t as good. On August 22, 2018 the Court ruled that claims against Herbalife were to be transfered to California, while claims against the Individual Defendants were to remain in Florida. Civil actions almost always start with a motion by the defendants to have the whole case dismissed. Many different issues must be raised in these preliminary motions or they are considered waived. Herbalife and the individual defendants make some standard arguments for why the case should be dismissed. Herbalife’s motion to dismiss is denied as moot with the claims against it transferred to Califorina. Plaintiffs’ response to the Individual Defendants motion to dimiss is due September 14, 2018. Generally, the evidence gathering phase of a lawsuit does not begin in earnest until after resolution of the preliminary motions. Herbalife would rather that we never talk about anything, ever… forever. The discovery stay was lifted on August 22, 2018. To date, discovery has been limited to the extremely boring subject of Herbalife’s spiderweb of confusing (even to themselves) and unfair contracts. The first hearing occurred August 22, 2018. The Court issued rulings on the motion to compel arbitration and the motion to transfer venue. Mark Drooks, et. al., of Los Angeles’ Bird Marella Boxer Wolpert Nessim Drooks Lincenberg & Rhow. It’s a too fancy big firm that should obviously change its name to Bird Boxer… waste of a brilliant branding opportunity. An Arizona based team from Quarles & Brady that has long experience attempting to defend dubious MLMs against all comers. Both Herbalife and the individual defendants are represented locally in Miami by Todd Lavine, et. al., of Kluger, Kaplan, Silverman, Katzen & Levine. A firm that should also change its name to Bird Boxer. Etan Mark, Donald Hayden, and Lara O’Donnell Grillo, of Miami’s Mark Migdal & Hayden. And by me, Jason Jones, of the internet’s totally not a normal lawyer dot com. Etan (pronounced however you see fit) and I are old friends. He’s an amazing lawyer to bring to a plaintiff’s side case. I sweet talked him into getting involved without using any sweet talk. If you have information that you think might be relevant or useful to this case, please contact me. I like listening.